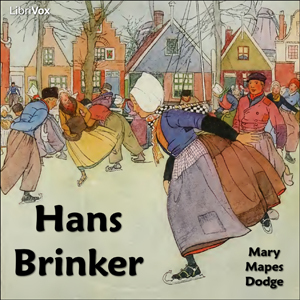 Mary Mapes Dodge created an instant bestseller with Hans Brinker or The Silver Skates. She wanted the book to be partly a book of travels and partly a domestic story. It is a tale written for children that adults also find interesting and uplifting. Dodge writes as if she is sending a series of letters from Holland to children in America, and her you-are-there perspective is aided by a nice attention to detail and vivid imagery. The Brinkers are a poor but stoic family under a dark cloud - Raff, the man of the house, fell from the dikes while reinforcing them during a bad storm, and for ten years he has been in a vegetative state. With no steady income, the family's lot is grinding poverty. Despite their unfortunate circumstances, Hans and Gretel are cheerful children, yet always attentive to the needs of their mother and their present-but-not-really-there father. Their social standing is very low, but they both attract firm friends, even among the gentry, for their honesty, industry, and good-heartedness. Then a glorious skating race is proposed for the town of Broek, with the prize a pair of silver skates for both the winning boy and girl. In the weeks leading up to the race, we follow the adventures of five of the local boys who are showing a visiting relative from England the sights of the Netherlands. Hans improbably meets the one man who might be able to heal his father, and somehow Hans finds a way to afford some skates so that he and Gretel can enter the race. This all leads up to a dramatic, moving, and entirely satisfactory conclusion. Hans Brinker hits a series of high notes and encourages children to cultivate and display their finer qualities.